This post brought to you by Burt’s Bees. The content and opinions expressed below are that of Probably Polka Dots. With Valentine's Day less than three weeks away, I would be lying if I said I wasn't already gearing up for date night. Since Cupid is bringing out his bow and arrow on a Sunday this year, we're heading out to dinner on Saturday night instead (don't worry, I've got something up my sleeve for Sunday night, too). You can bet that I'm already planning my date night outfit from head to toe which includes my makeup. Traditionally, I've not been a lipstick kind of girl, but if you've been following along on Snapchat recently, you know that my opinion of lipstick is starting to change, and I have brands like Burt's Bees to thank for that. Burt's Bees just released a new line of lipsticks. 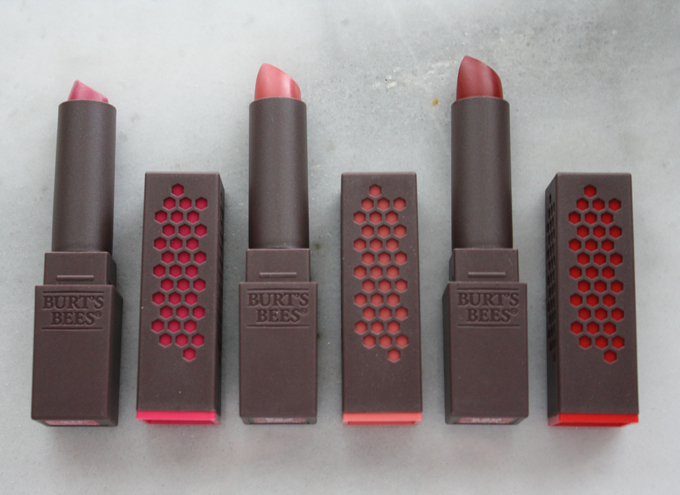 Available at Target, the Burt's Bee's lipsticks come in a variety of colors and various shades (14 to be exact!) which means there's definitely a color on the aisle for you. Beyond having a huge selection of colors, you'll find that the Burt's Bees lipsticks are creamy and lightweight, not to mention 100% natural and incredibly hydrating and moisturizing. Since I was in Salt Lake City last week, my skin and lips have been on overdrive trying to get rehydrated. I've been hesitant to wear my usual makeup, including lipstick, for fear of drying out my skin even more. With Burt's Bees lipsticks, though, I don't have anything to worry about. Instead, I find that my lips are even more supple and comfortable than before application! 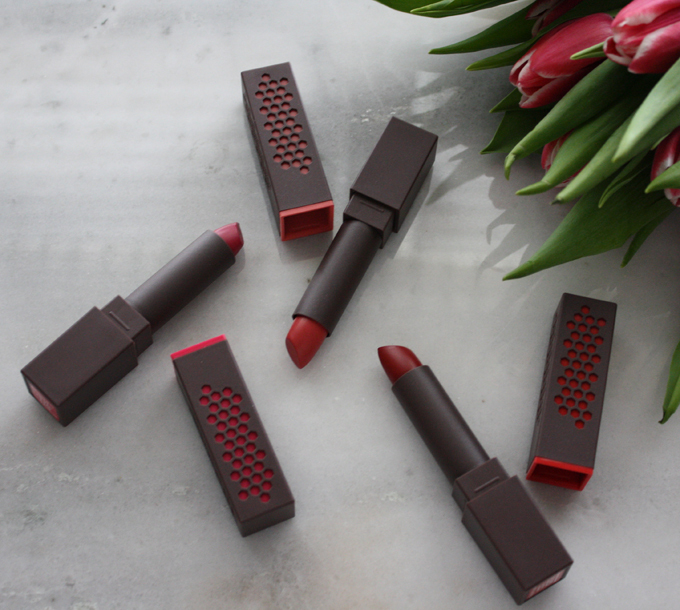 This is a lipstick that loves you back, y'all. I picked up three different colors to play with at home: Scarlet Soaked (520), Sunset Cruise (523), and Magenta Rush (511). Each color is rich and pigmented without being overpowering. I have been on a magenta kick lately. I wear a ton of black at night, and I love the punch that magenta gives without being too pink or purple. The Magenta Rush was definitely my favorite color of the bunch, but I have to say that I loved the natural look of Sunset Cruise and the deep hue of Scarlet Soaked, too. So many choices! And, coming in at under $10 each, you can take a few of your favorites home without breaking the bank (and feeling guilty). If you're curious about these colors, I wouldn't wait too long before heading to Target to scoop them up. They are flying off the shelves (in fact, my Target kept selling out before I could get my hands on them!). Don't let this love pass you by. 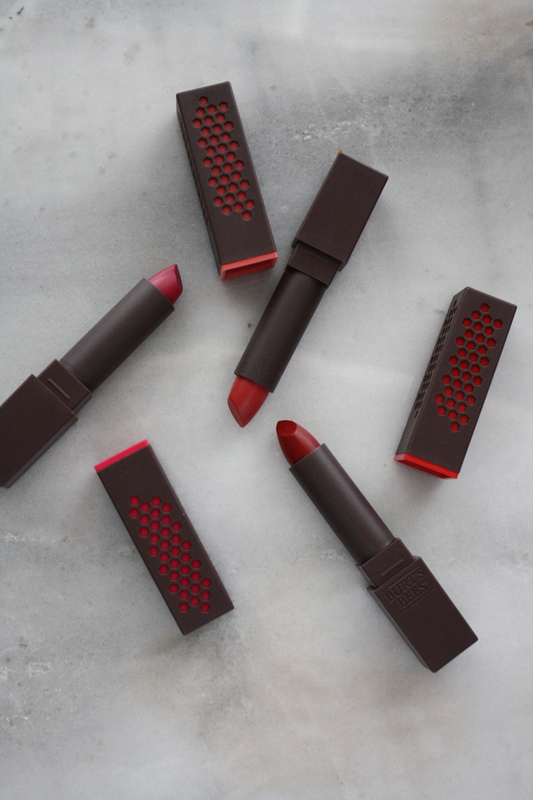 Celebrate Valentine's Day this year by showing yourself a little love with lipsticks from Burt's Bees. 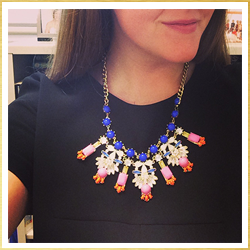 You'll love the product and the selection of colors readily Available at Target. And while you're there, check-out Burt's Bees other latest makeup products including their new BB Cream. A great, new BB cream? My heart be still! This Valentine's Day, treat yourself to moisturizing color that's good for you...and good for all of those kissable moments, too.